It was the last decade of the twentieth century. There was much speculation and even foreboding by some that the century’s end might be doomsday. Or, at the least, a massive failure of computer systems. In the U.S. after President George H.W. Bush waged the six month Persian Gulf War against Iraq and completed his single Presidential term, Bill Clinton was elected to the American political scene in 1993 and governed until 2001. The country saw the Kosovo war, the attempted impeachment of Clinton, and a rebounding national economy. In Texas George W. Bush took over the Governorship from Ann Richards in 1994 until 2000. He reigned through the massive tobacco settlement of $15.3 billion for the state and the 1999 Texas A&M football bonfire tragedy. Twelve students were killed, ending the 92-year annual Thanksgiving Aggie event to build football fervor against the University of Texas. And in Houston, the last Sakowitz store closed and the famed Gilley’s was demolished. In 1990, George H.W. Bush brought the Economic Summit to Rice University and the Republican National Convention to Houston in 1992. Mayor Kathy Whitmire, backing a Houston monorail, lost her bid for a sixth term to Bob Lanier, who opposed the monorail. Lee Brown returned to Houston after serving as NYC Chief of Police and won the mayoral election in 1997 against Rob Mosbacher and served until 2001. Both Reliant Stadium and Enron Fields were publicly funded and constructed. 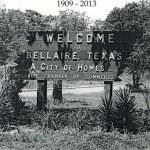 Bellaire continued its declining population to about 14,000 in 2000. The ninth decade since its founding as a townsite saw first-time leaders in Mayors Tim Carter (1989-1991), Betty Janicek (1992-1994), Harold Penn (1994-1998) and Chuck Jacobus (1998-2000). These leaders were seen to be the replacement of the “Old Guard” dominance of local government. Throughout the years from 1972 to 1996 the City quietly bought up original old houses along Laurel Street without public determination of its ultimate land use intentions. But by 1991 under Mayor Tim Carter there arose strong sentiment about the use of the land and the need for a new Recreation Center and Gymnasium. An initiative petition to retain the City owned lots for use as “green space” spawned much citizen debate with the opponents wanting to sell the properties for new housing and to generate revenues estimated at over $1 million to build a new Recreation Center. At the risk of oversimplifying a complex and divisive issue, the debate was ended when Mayor Carter took the position that the land should not be used for municipal or private building expansion but for preservation only as green space. The owners of Laurel Street property had to give up their property rights, limiting sale to only the City in exchange for a guarantee that park expansion would be the goal for its use and that no one would be forced to sell before they desired to. The Recreation Center was rebuilt but with bond funding. An ordinance was passed, codified into Chapter 27 of the City Code of Ordinances, that was deemed to be a strong statement of municipal policy. The Laurel Street Open Space Policy directed that the land along Laurel Street be used only as open green space” and limited construction of any enclosed structures, restricting impervious surfaces and excluding sport play areas or parking lots. 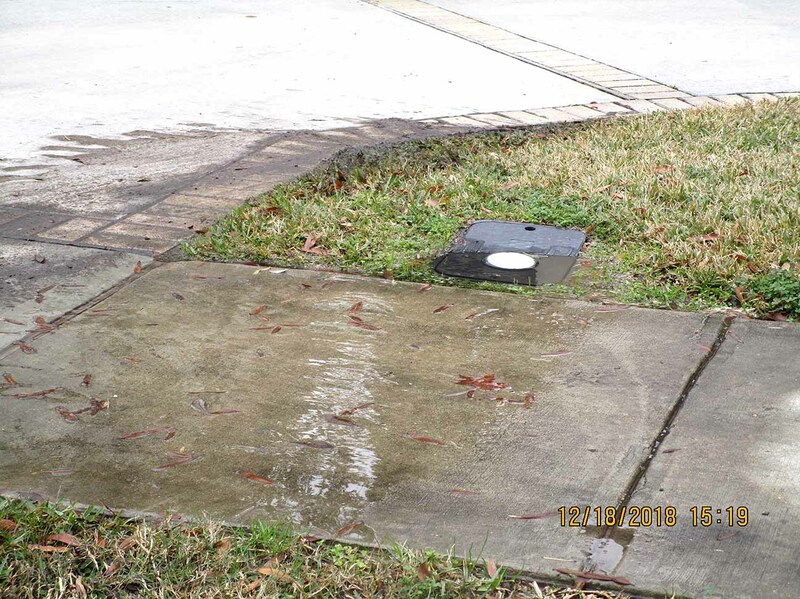 It is still in place–a momentous moment in Bellaire history. The Laurel Street green area that remains after all the houses were sold is now identified as Loftin Park, separate from and with restrictions different than Bellaire-Zindler Park where the new $4 million Aquatics Facilities and CenterPoint Community Building are located. During the middle of the decade, efforts were made to develop 18 acres in Bellaire for the Abercrombie townhouse proposal on Oakdale, just west of Newcastle at the City’s northeastern limits. This was filled with public controversy over the higher density development. After hiring an Austin planning firm, Britain & Co., to evaluate the proposal, the Council under Mayor Janicek, defeated the application in 1993. A Bellaire Blvd. 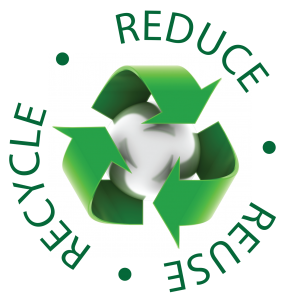 Beautification Committee was formed in 1992 to develop a plan. A proposal for a Texas Parks and Wildlife grant for $200,000 was approved, with a local match of 40%. Donors names were commemorated on special bricks laid down. This effort successfully saw the Esplanade improved with a path and enhancements by 1996. Time again for a Comprehensive Plan Update in 1994–the first since 1982–with Mayor Harold Penn presiding along with Council members Wayne Alderman, Dan Hayes, Steve Houston, Christine Noble, Tom Phillips and Sandra Shafto. The HOK firm from Dallas was hired. The Planning and Zoning Commission was chaired by David Strauss and included Peter Boecher, Jim Griffith, Kathryn Minter, Keith Head, Susan Koch, Pat McLaughlan, Bennett Midlo and Cindy Siegel. Several of those P&Z members are still part of Bellaire’s local government. With conflicts between the hired HOK planners and the City Council, the firm’s contract with the city was terminated before completion and the task of adopting the Plan Update fell on the lay Planning and Zoning Commission. Ultimately in 1996, the Council received the Comprehensive Plan Update recommendation from P&Z and adopted the new version. Thereafter the hot topic of a zoning overlay for Bellaire Blvd., east of Loop 610, which had been avoided during the Plan Update, was added in 2002. 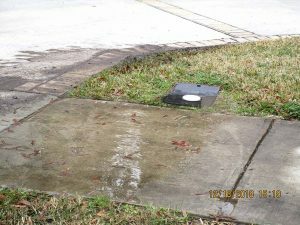 That was to protect and promote “estate development” on the Boulevard and to prevent subdividing those large lots to higher density from Loop 610 east to the city limits. Several large new homes have been built since then. In 1993 a contentious redevelopment along Cedar Street by then owner, Jerry J. Moore Investments, sought from City Council, under Mayor Betty Janicek, the closure of a portion of Cedar Street downtown for needed parking to redevelop the shopping center there. 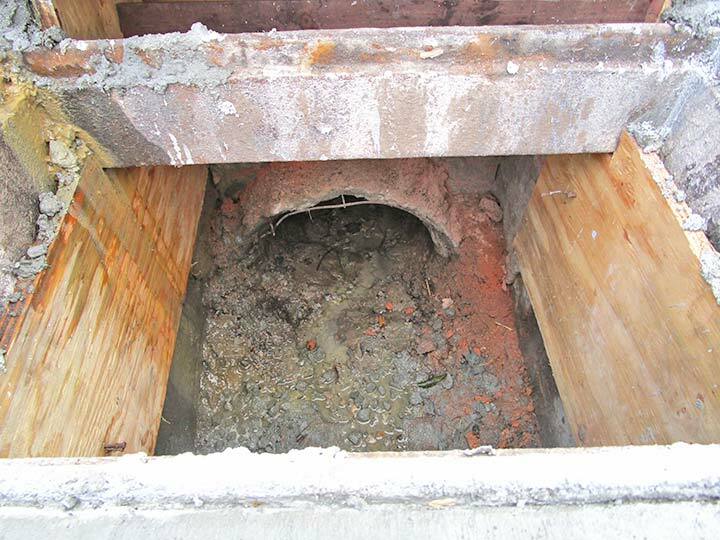 The City ultimately abandoned a portion of the street with no reimbursement to permit it to be a narrower 25 feet wide in exchange for upgrading of the property. This resulted in a remodeled HEB grocery store, new signage, and other such enhancements. In 1995 the Bellaire United Methodist Church on Bellaire Blvd. at Newcastle underwent public hearings for a specific use permit to construct its Family Life Center. The variance it sought for more lot coverage generated protests, petitions, and strong opposition. After a lengthy period, ultimately a compromise was reached to balance the Church’s needs, the zoning regulations, protection of adjacent neighbors’ properties and traffic ingress and egress. The Family Life Center was approved. But, in 1995, a City revenue shortfall was identified under the reign of City Manager Lea Dunn, along with a criminal indictment against the Finance Director, Norma Quinn, for misuse of city credit card. A turnover of management occurred, Quinn and Dunn resigned. Chris Brady, Assistant City Manager, took the helm as Interim City Manager until a new Manager was found. After an extended professional search, John Pape was hired in 1996 as City Manager and stayed until 2000. 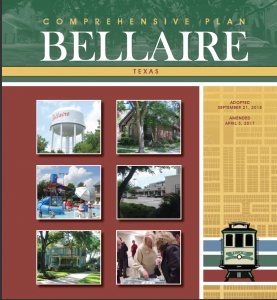 Economic development efforts continued in new directions after the ordinance creating the Bellaire Tax Increment Finance District was repealed in 1991, its long effort to redevelop Bellaire’s downtown with diverted property tax revenues a failure. 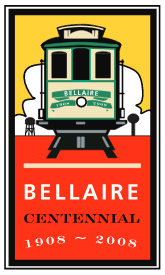 It its place new efforts, such as the Economic Development Advisory Committee (1998-2000), chaired by then Councilman Phil Nauert, was created to explore possible Trolley/jitney operation for Bellaire office workers to lunch and shop; tenant relations and retention; and commercial landowners’ development opportunities. Possible beautification in downtown at south Bellaire Boulevard at Fifth and Ferris in city right of way was also discussed. Although many meetings were held, nothing tangible resulted. Such efforts continued into the next decade. This decade also saw the housing stock additions of Renwick/Evergreen homes, Fournace Gardens, and booming home replacements by “McMansions” with ever higher pricing. 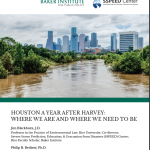 Bellaire survived its ninth decade with a great deal of activity and change, many new faces governing, the beginning of the housing building boom, parks expansion, redevelopment in spite of failed efforts to direct it, and a healthy survival into the 21st century.